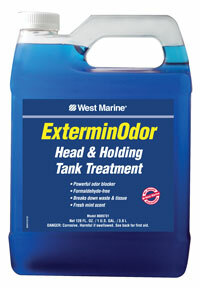 Holding tank treatments use a variety of methods to mask or eliminate offensive odors created as waste is broken down. They come in four basic formulations. Chemical treatments are the most popular because they provide the best odor control. Some include chemicals that kill bacteria, but the best chemical treatments deodorize using chemical reactions with odor-causing molecules. They are relatively inexpensive compared to other treatments. Some contain additives that dissolve waste. They can be added to tanks that contain other treatments without cleaning the tank. Enzyme treatments accelerate the digestion of organic materials in waste and neutralize odors at the same time. Their toxicity is extremely low and they are environmentally friendly. Some help to emulsify paper and sewage. They must be added regularly, work best in well-ventilated systems, but do not work well in hot or cold climates. 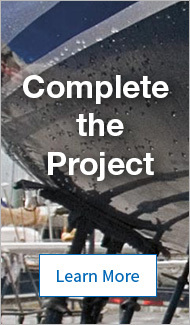 Enzymes require a tank free of residuals of other treatment products. Nitrate treatments provide an interesting alternative. Oxygen is vital to bacteria in the process of breaking down organic waste. When little air is present (as in most holding tanks), bacteria derives the oxygen from sulfates in the waste, which produces hydrogen sulfide (stinky!) gas. When nitrates are introduced, they act as nutrients for the bacteria, providing an alternative source of oxygen, which results in the production of nitrogen an odorless gas. Nitrates are environmentally friendly, and are ideal for systems with less ventilation. They speed up the breakdown process and reduce odors. The tank must be free of residuals from other products. Bio-active treatments contain live aerobic bacteria which break down waste, reproduce and crowd out anaerobic (odor-producing) bacteria. They, too, are environmentally friendly. Like enzymes, bio-active treatments can help in breaking down sewage. Unlike other treatments, they multiply and continue to work long after treatment is complete. However, the microbes require a well-ventilated and residual free holding tank to survive. Although initially expensive, bio-active treatments become more cost effective over time because of bacteria propagation.